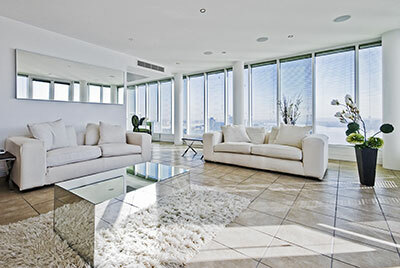 Area carpets can be used on the floors of homes, buildings, businesses and pretty much anywhere else. They're perfect for those looking to put a little extra effort into decorating their living or working space, able to transform a room with minimum effort. There's also the utility on top of the visual: they keep floors warm and dirt-free while also adding a bit of comfort. As it turns out, however, area carpets are made from various sensitive materials. When in use, they should be cleaned and taken care of regularly, but it's not always enough. Rough shoes and dirt can easily damage these carpets and permanently change them for the worse if appropriate action isn't taken soon enough. Unfortunately, there isn't much home owners can do to fix their carpets – since they come in all sorts of sizes and shapes and are frequently made using complex weaving techniques, only an expert can try to repair an area carpet with good results. Complicating matters further is the fact that some owners will cut their carpets in order to better fit them inside a room, which will usually weaken the carpet a great deal. 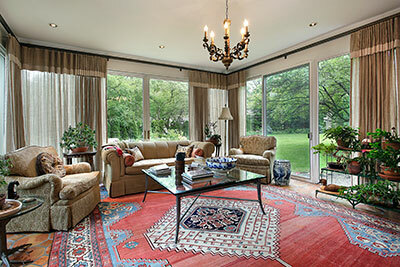 Lots of people who use area rugs suffer from mounting damage on their beloved pieces. If you are one of them, rest assured that we can solve every issue your carpet might have – besides cleaning, we are also professionals at area carpet repairs and have the experience and skill necessary to not only repair any area carpet but also make it look new and flawless. Our staff is highly trained and can be trusted to handle your carpets with care – this is important, as area carpets are usually very subtle and need to be handled with caution during repairs. That is exactly why we use hand-repairing techniques – to avoid any machine causing further damage to your prized possession. We're proud to say these steady techniques have been working for us for quite a long time – we’ve never received complaints regarding our methods, and we frequently enjoy stellar reviews from satisfied customers. Once you get in touch with us and tell us about your carpet, we'll first take the time to explain the whole procedure to you, start to finish. 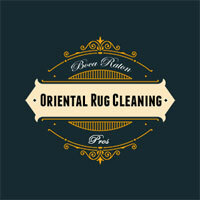 Then, after agreeing on a price and working hours, our team will visit your house and analyze the damaged carpets. With some of the best tools available and with all the knowledge to boot, our team will make short work of any repairs while still exercising utmost care. If preferred, we can also work on your carpet in our Florida-based office. After all, keeping our customers satisfied at all times is our policy, and we do our best to have our work reflect that. Likewise, each customer is free to come to us with any questions they might have, carpet repair-related or otherwise, and we'll gladly answer them – building a unique relationship with every customer and making them feel like they're in good hands is what our business is all about.